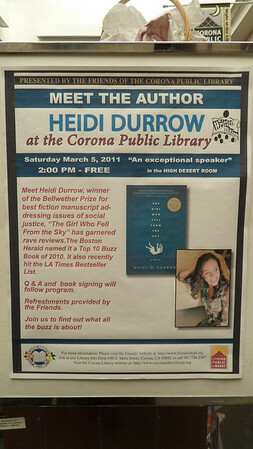 Way back some time last Fall, I got an invitation to read at Corona Public Library. It's not far from LA, but with traffic it can be a long drive. It was well-worth the journey! The room was packed--and oh, my goodness, what amazing energy and dare I say love. I can definitely say I loved those folks! They laughed and they had such wonderful questions. I couldn't help but hug just about everyone who asked me to sign a book. Writers take note: you want this invitation--and you will love it. 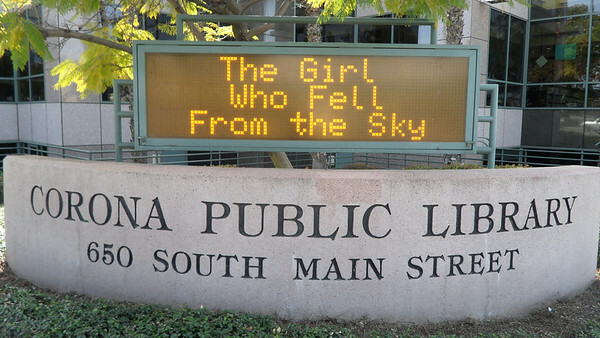 Readers take note: this library (and I wish I'd had more time to spend there) is the real deal. You can feel the pulse of the community when you walk in--the place was hopping on a beautiful sunny Saturday afternoon. Oh wait, and I forgot to mention the jazzy sign out front! How cool is this? 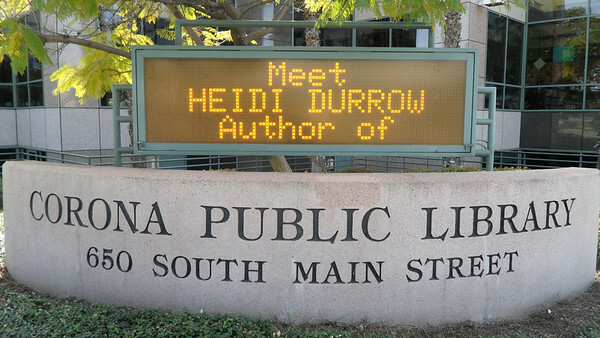 Hi Heidi, as the Director of the Corona Public Library, thank you for this nice post! I’m so glad you liked our jazzy sign and I’m impressed that you timed it just right to get these pictures. You were a wonderful guest and our patrons loved being able to interact with you. We hope you can visit us again soon!